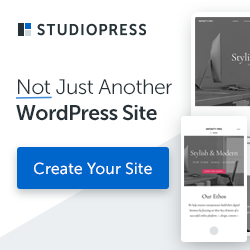 Sooner or later, you will discover that sending an InDesign file to another person or vendor is a bit more complicated than simply emailing the file. You must provide the InDesign document along with all of its associated images and fonts. 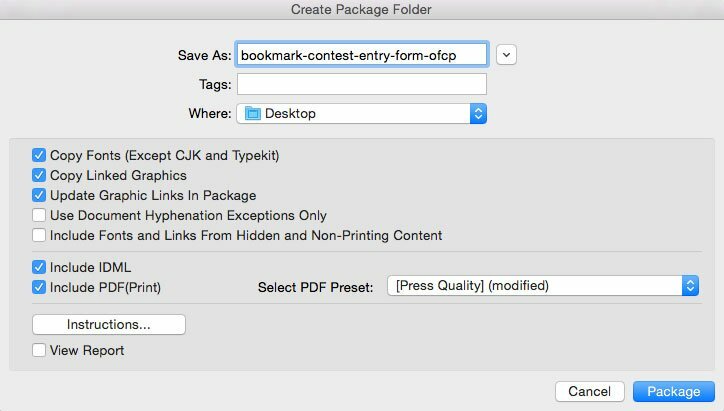 Otherwise, the recipient won’t be able to do much beyond opening the InDesign file. 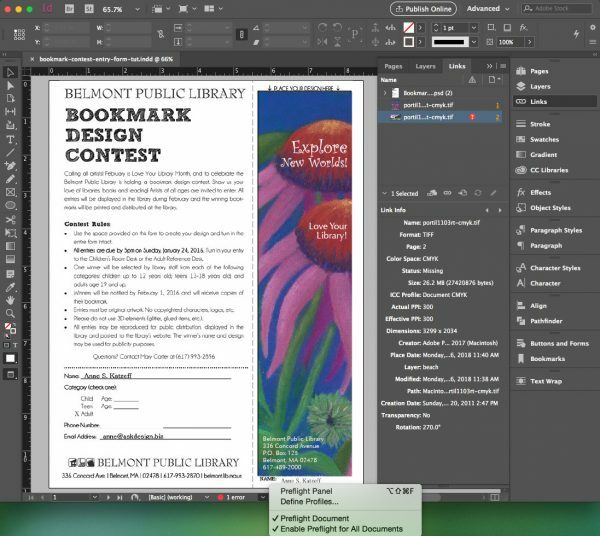 InDesign has two great tools that work in tandem with each other: Preflight Panel and Package. The Preflight Panel alerts you about any prepress issues in the file. If you forget to look at the panel, the Package tool will remind you about the problems and prompt you to fix them. The Package tool collects copies of everything into one folder: the InDesign file, linked graphics, and fonts. You can send that folder to whoever needs it and they’ll be able to view, edit, and/or print the InDesign file. Image links are missing. This may happen because (a) the image was moved to a different folder or (b) the image was pasted into the InDesign file, rather than being Placed. TO FIX: (a) Open the Links Panel. The image that has a missing link will have next to it a question mark inside a red circle. Select that image, then click on the Relink button at the bottom of the panel. Navigate to the folder where the image resides and select it. The image is now re-linked. (b) Place (File > Place or CMMD-D / CNTRL-D) the image into the InDesign file. Modify the size and position as needed, then delete the old image. The color space of images is RGB, when they should be CMYK. Some printers may accept RGB images, so it’s important to ask them about this. I’ve defined my own preflight profile to include RGB images as a color space that is not allowed. See Define Profiles… and add a new profile as needed. TO FIX: Copy the RGB image and rename it, adding “-cmyk” to the end of the original name (FileName-cmyk.tif). Open the CMYK copy in Photoshop, change the mode to CMYK (Image > Mode > CMYK color). Save the file. Image print resolution is lower than the optimum 300 ppi. Usually printers will allow a 10-20% range above and below the 300 ppi to ensure quality results. TO FIX: Increasing the resolution in a low-resolution image will NOT solve the problem; that will result in a poor quality image. Replace the low-resolution image with a high-resolution one. Image formats are not print-ready. Acceptable formats are: TIFF, EPS, PDF, and JPG (so long as they’re high-resolution). Do NOT use PNG, GIF, or low-resolution JPG for print (use only for web). TO FIX: Open the PNG (or GIF or JPG) file in Photoshop. Save as (File > Save As…) a TIFF, EPS, or PDF. Look for the file format options at the bottom of the Save As window. Make sure the new suffix is added to the file name. Fonts formats are TrueType and usually not appropriate for print. Again, it’s a good idea to ask the print vendor about the fonts. Generally, it’s better to use OpenType and Postscript fonts. TrueType is intended for the web, but some vendors will be able to print with them. TO FIX: Swap the TrueType fonts with OpenType and/or Postscript fonts. Go to the Type menu and scroll down to Find Font (Type > Find Font). Select the offending font(s) in the top panel, replace with the new font(s) in the “Replace With” section at the bottom. When you are finished with the preflight panel, packaging the InDesign file will be a breeze. Go to: File > Package. 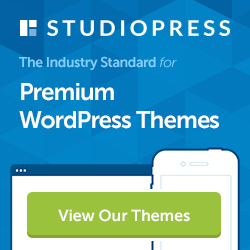 Click on the left sidebar subheads to double-check for errors: Summary, Fonts, and Links and Images. Print Settings are usually of no concern since they merely indicate what print device your computer is hooked up to. External Plug-ins may be significant: if you have added in unique plug-ins for the file, you’ll have to make sure the person or vendor receiving the file has the same plug-ins. Complete the Printing Instructions form. Click the Continue button when finished. The Create Package Folder window will pop up. Save As: I usually save as: ProjectName-OFCP (Out for Final Combined Proof). You can use any naming convention that makes sense to you and helps you identify that folder in the future. Selected Items at the bottom of the window should include: Copy Fonts, Copy Linked Graphics, Update Graphic Links in Package, Include IDML, and Include PDF (Print). Navigate to the folder where you want the packaged folder to reside. The desktop would fine (you can move it later). Click the Package button. You’ll get a warning about the fonts. Click OK.
Find the packaged folder and open it. Verify that all of the copied files are there. The images and graphics will be inside a Links folder. The fonts will be inside a Document Fonts folder. Compress the folder. Right-click > Compress… OR use DropStuff (or similar utility). 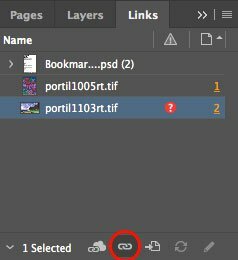 Do you know of any took or script that allows you to package all Links and Fonts from linked Illustrator files, from InDesign? Right now we have to open each illustrator file and do a separate collect and combine in the package. Great question, Nicki! When Illustrator files are placed in an InDesign document, the InDesign packaging tool will include the Illustrator file’s fonts. The images are also included, so long as they are embedded into the Illustrator file. 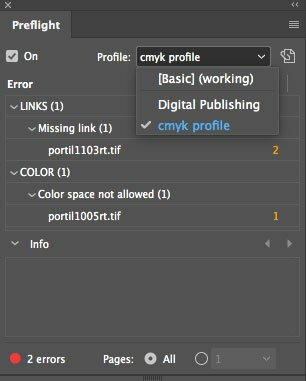 It sounds like your images may have been “linked” to the Illustrator file, in which case those links are not included in the InDesign package. NOTE: When placing (importing) images in Illustrator, you have the option to “Link” or not to link. If “Link” is not selected, the image is embedded in the Illustrator document and will not be collected into the packaged folder. If “Link” IS selected, the image will be collected into the packaged folder. The bottom line: if you are packaging the Illustrator file, linking or embedding is entirely up to you; either way will be fine. If you are packaging the InDesign file which contains the Illustrator file, I’d play it safe and embed all images into the Illustrator file.